This story starts out in Glasgow but is mainly set in Melbourne, Australia. The reader comes face-to-face with deception, selfishness, narcissism, frustration, being a new mother and all the emotions that come with that, mistrust, secrets, lies, anger, hopelessness, denial and revelations that will leave your jaw on the floor! WOW 😱 Talk about an OMFG opening! I wondered what in the world was going on and then BOOM! The tension could be felt from the onset and from there it just increased, leaving me no choice but to sit and read until the end! It started in one direction but as each layer was peeled, I was left thinking WTAF? (in the best possible way!) 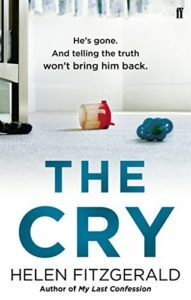 This was an emotive and absolutely riveting read, and I imagine that for anyone who has children – this topic would be difficult to take in objectively. I thought this was a well written novel, both sensitive and explosive in all the right places. It’s no surprise that it has been optioned for tv – I can’t wait! The narrative and characters were OH-SO-GOOD! Believable and fascinating as their lives unravel. Joanna – my heart broke for her, even though I just wanted to shake her at times. Manipulated by her husband, Alistair who cared for no one but himself. I hated him … but I was supposed to … a brilliant character who evoked both passion and disgust by his behaviour. Alexandra (ex wife) was another awesome character. For the most part, I liked her – could understand her actions but also needed her to be strong for her daughter. I love when characters do that to me! Would I recommend this book? 🤔 Chilling, intense and absolutely addictive – you bet your sweet arse I would! Make sure you grab a copy today! 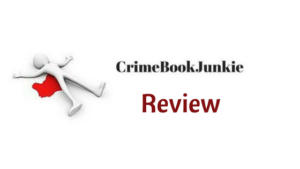 This entry was posted in Book Reviews and tagged #Crime, #Crime #Twists #Murder, #CrimeFiction, #CrimeThriller, #Emotive, #Murder, #Mystery, #Psychological, #Suspense, #Thriller, #Twists by crimebookjunkie. Bookmark the permalink.